Earlier this month Facebook Chief Security Officer Alex Stamos threw a twittertantrum over accusations that Facebook's algorithms promoted fake news in its users' feeds: "I am seeing a ton of coverage of our recent issues driven by stereotypes of our employees and attacks against fantasy, strawman tech cos," he wrote. "Nobody of substance at the big companies thinks of algorithms as neutral. Nobody is not aware of the risks." 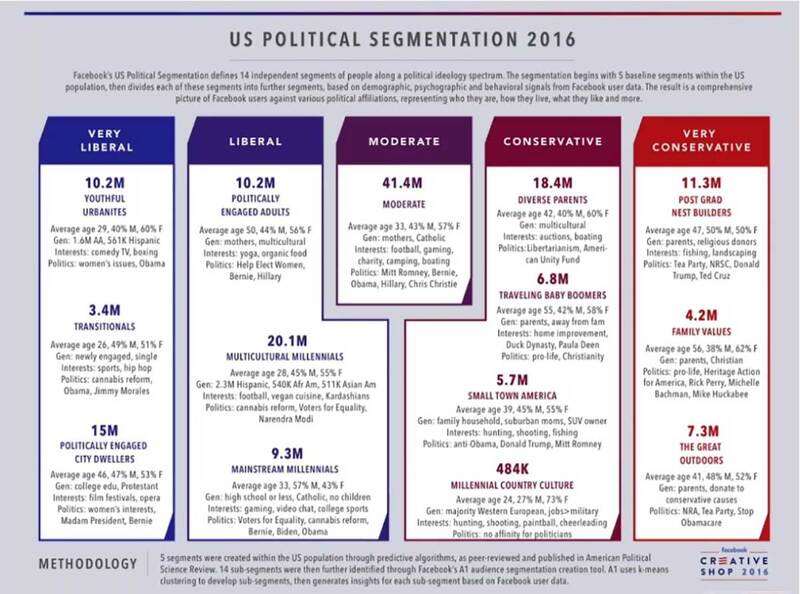 But who needs algorithms to help political trolls transmit propaganda, when Facebook's sales team created this beautiful "US Political Segmentation" menu that made it easy to target groups of people "along a political ideology spectrum."